Following the success of their inaugural event last year, the Trons Dy Dad group in Caernarfon are holding their second prostate day in aid of Prostate Cymru on Saturday 31st August 2019. The Trons Dy Dad (Your Dad’s Underpants) group is made up of Gwynedd Councillors Dilwyn Lloyd, Jason Parry, Roy Owen and friends. The fantastic day will include a sponsored walk, live entertainment and performances from top bands (to be revealed from 1st April onwards) and family friendly activities. This year participants are encouraged to dress up as superheroes as they take on the walk from the Maes to the iconic, historic thirteenth century castle and along the coast, walking the Aberforeshore and back. 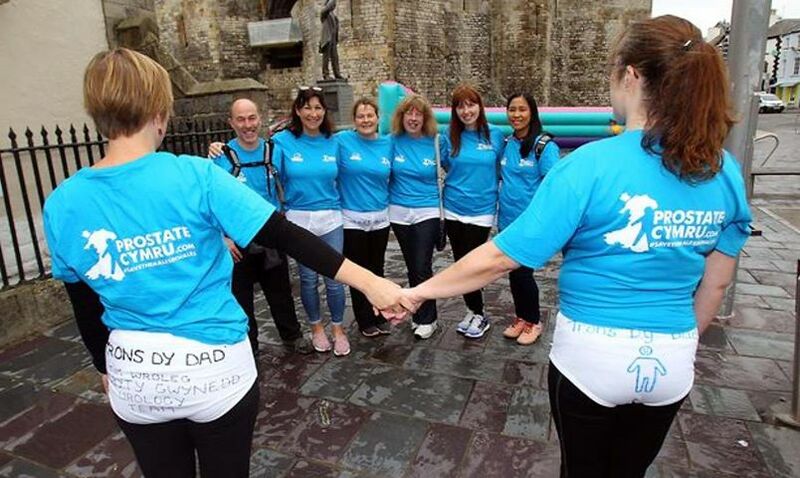 Last year’s event featured 70 walkers including a team of urology nurses from Ysbyty Gwynedd headed by Linda Williams, keen to support the leading prostate health charity in Wales. A number of hit Welsh bands performed on the Maes including Maffia Mr Huws, Gwibdaith Hen Fran, Synnwyr Cyffredin and Phil Gas Ar Band. You can keep up to date with all the latest news about the event, including how to enter and upcoming fundraising events, by following the group on Facebook, Twitter and Instagram.